Two weeks ago started off like any other week. Off to work on Monday after a relaxing weekend that included checking out a vacant old farmhouse we’d noticed a few weeks earlier while out driving around country roads. There was information on one of the windows designating the home as a Fannie Mae property and gave contact information which I jotted down and followed up on once we got home. We made arrangements to see the home and property on Wednesday. Although I saw the home and property as having potential for the cheap price, my wife was seeing the amount of work it would take to get the place up to code. She was right and we abandoned further thought on the house. That house anyway. We wondered what type of other homes were available in the county so we jumped online and started looking. It’s not that we aren’t happy with our own place. We live out in the country along a mildly traveled county road about six miles out of town. 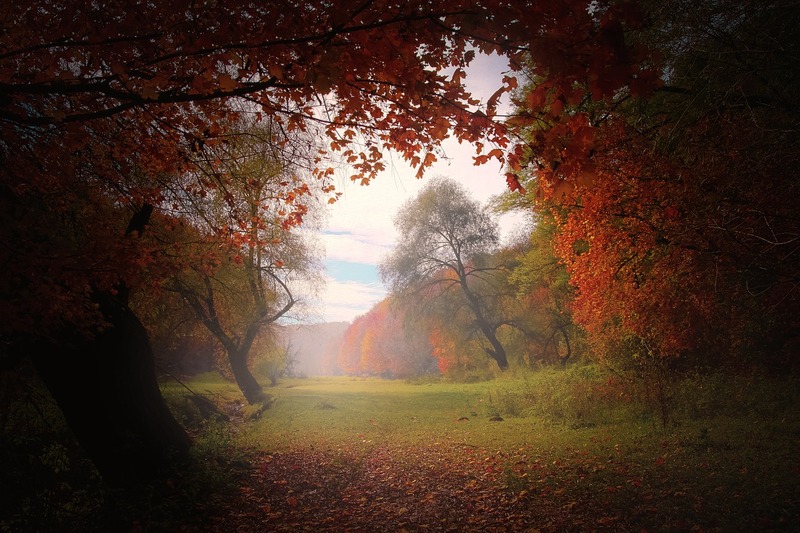 We have a few neighbors nearby, almost an acre of land, and we have beautiful woods all around us. Sounds wonderful to most people and it really is. Our house just needs some minor upgrades and a little TLC on the normal wear and tear a house goes through. The lazy part of us thought there might be something better available. Something with more land and less things wrong. 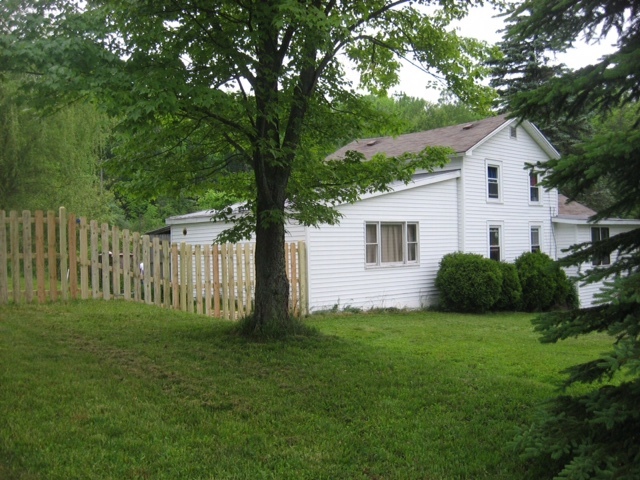 We found a property online that was a similar distance out of town but on the northeast side. Not much different landscape than where we are now, which is mainly wooded hills, country roads and hollows, but the property had more land. A lot more land. My wife was off work on Friday so I took a half day off and we made arrangements with the same realtor from Wednesday night to view the property at 1:45. That’s when our adventure began. 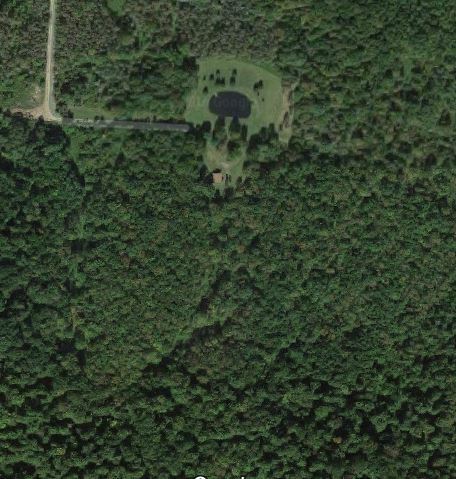 Fifty plus acres with a cabin and a pond the listing said. 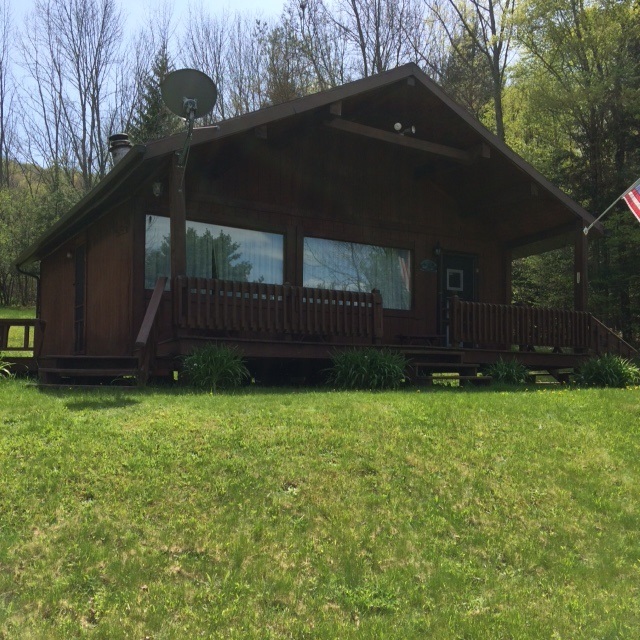 Not only a great hunting camp but a place to take the family for a getaway the listing said. Living room, kitchen, two bedrooms, sleeping loft, wired for a generator, and a wood burning stove the listing said. A covered front porch with a wonderful view of the pond and hills the listing said. Paradise. We met the real estate agent at the bottom of a dirt road that would lead us up a hill. We followed her up the road through very thick woods. There were two small clearings along the rough dirt road, both with homes on them. The first one looked like squatters lived there and the second, somewhat nicer, was near near the gate to the property we were going to see. The gate was guarded by a dog that must have belonged to the owners of the that house.The realtor got out, unlocked the gate, and we all drove through avoiding the dog that was still barking too loudly and acting as though he wanted to bite the tires. We drove forward about two hundred or so yards then hung a left and drove down a grass road canopied by trees to the cul-de-sac that might be ours someday. Actually, scratch that. Cul-de-sac is not a country property term. We gathered in front of the cabin and soaked in the surrounding area. There was a pond directly in front of the cabin and I already had purchased a comfy chair in my mind for the front porch. Or maybe it was a porch swing. We noticed three deer peeking through some cover in the woods beyond the pond. We continued our three hundred and sixty degree view from in front of the cabin. There were two small shed looking buildings about thirty yards away and an outdoor grill similar to what you might find at a park. The realtor had moved on to unlock the cabin door after we all stepped onto the porch. We walked into the cabin first and instantly fell in love. There were wooden walls everywhere and stained beams overhead. There was a small kitchen to the right with a breakfast bar. A living room to the left with a large wood burning stove in the corner. There were two very small bedrooms, and a ladder to a sleeping loft above the two bedrooms. Six hundred square feet. I’ve lived in apartments larger than that in my younger years. But, size didn’t matter here. Our current home is about eighteen hundred square feet and our bedroom is four hundred square feet with a covered porch off the back. And a deck. None of that mattered at the moment. We had already built on additional footage in our minds and added another bedroom. We were now looking at this cabin like we were going to move into it. As in permanently. My wife and I were absolutely sold on the cabin as a home. We then started noticing little things. There was no refrigerator. There was a stove, run off a propane tank outside of the cabin. And the sink had no running water. That was because the barrel outside that collected rain water and runoff from the gutter happened to be empty and that is what supplied water to the cabin. No running water. Wait a minute. No running water. And where is the bathroom? Or refrigerator? The two sheds outside? Yes, one was an outhouse. The other a shed was for wood and a generator. 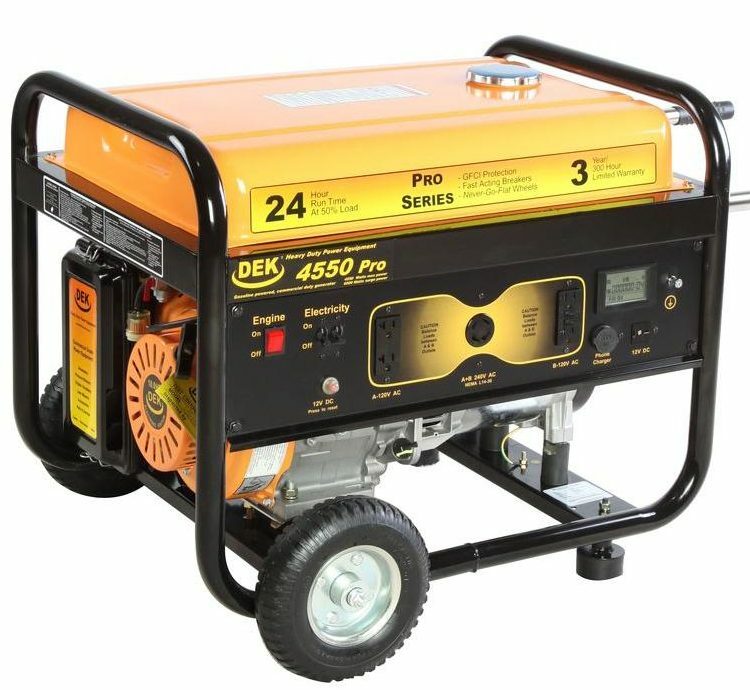 The generator was not a secondary option for power. It was the option. 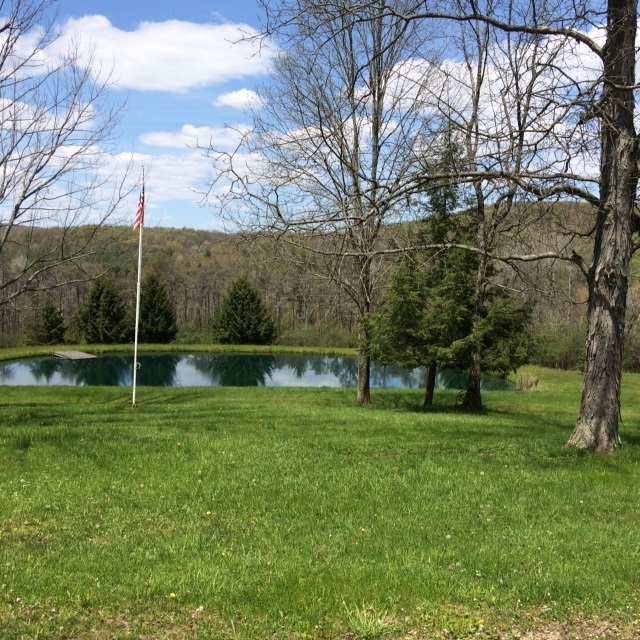 There was no septic system, no electricity, and no running water. Maybe not sold now. We walked back outside and down passe our SUV and stared at the pond. A beautiful pond that had been stocked with fish. We walked back up to the porch and took it all in. My focus again back to the pond and the surrounding woods and the hills beyond that. And then the realtor spoke and mentioned something about envisioning a writer sitting here on the porch working on his or her next story. Wait, what? A writer? I’m a writer, and yes, I see it too and thankfully, or so I thought, so did my wife. Back to sold. We might even be able to enjoy the seventeen year cicada invasion from this porch. What happened next is somewhat of a blur, but I’ll do my best. We took some paperwork from the realtor, thanked her again, and with visions of our potential new home clouding our normal 20/20 vision, we got in our vehicle and slowly turned around glancing quickly to the pond on our right and quickly back over to our left to look at our cabin one last time. Our potential new home. No septic system, no water, and no electricity. No problem. We estimated the distance from the cabin down the grass road before we hung a right to head back down hill. Two hundred yards I guessed. Then another two hundred yards to the gate and the still barking dog and a pole with power I now noticed. So four hundred yards post to non-existing post near cabin and another fifty to get power to house. Four hundred fifty yards. We had’t even made it down the dirt road to the county road when words started flying between my wife and I. It was 2:45 and we had been at the property for an hour. We were discussing downsizing. All our stuff would not fit in a small cabin. We’d have to store some of it and get rid of some of it. Mental note to get a price on a storage unit. After our tires came into contact with pavement, my wife suggested a trip to Home Depot. To dream. Get prices. Why not I thought. We had no obligations the rest of the day with our youngest at orchestra camp. Not band camp, orchestra camp. As for our eldest, he was at home reading and can fend for himself, you know, being a college boy and all. We decided to head to a Home Depot in a small city about thirty miles away. During the first few miles we decided we could live with a generator short term. We could do laundry in town at the laundromat. We could get by with an outhouse during the summer. And we could fill that large drum with water. This could work. We could even put up an outdoor shower. Who would see us anyway? A septic system, water, and electricity. Alright, maybe a problem but workable. At least through summer and most of fall. We’d have to build a bathroom and have room for a refrigerator. The bedroom adjacent to the kitchen could be a bathroom. The boys could just sleep in the loft. Our oldest is only here during the summer and breaks anyway right? We’d get a small refrigerator to start. A dorm style one. My wife added that to our list for Home Depot. During the drive, she started searching for prices on her phone. 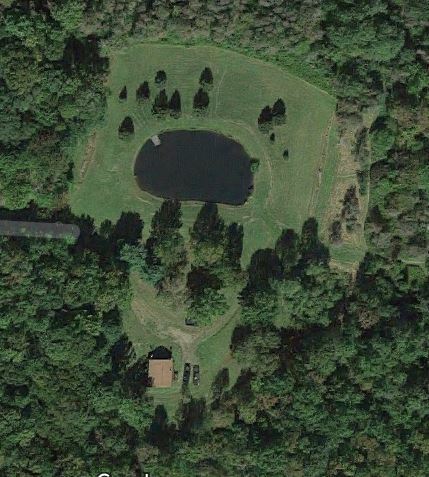 First, was a septic system. She found prices varied from $2,500 to $7,500. She also searched for prices on putting in a well. The realtor mentioned a couple of natural springs on the property, not that I would know how to tap water from there. But, there is a pond so there must be water. Well prices could be around $10,000. We also have friends who have had this done so it can’t be rocket science but we could assume the worst of course. You know, for budgetary purposes. We’ll figure $20,000 to be safe for septic and water. We weren’t fifteen miles into our drive and we had tentatively solved two problems, or at least had an idea of a plan. Septic system and water would be the most important. Electric could wait provided we got a generator. We decided to have dinner first and I would get online and come up with an estimate for power. Both a short term plan and long term plan. During the remainder of the drive we added on a larger bedroom and expanded the kitchen. We also changed the bathroom to a laundry room and added on a bathroom to that. This would expand the back of the cabin and the left side where there was already a deck. It’s only money right? We reached Applebees, ordered our meals and drinks, and started looking into the long term plan for power. I found out quickly it’s done by feet and not yards so my four hundred fifty yards now became one thousand three hundred fifty feet. It also became anywhere between $10,000 and $20,000 depending which site I wanted to believe. I wanted it to be the cheaper site of course. Maybe power from the grid would have to wait until year two. After dinner, we went to Home Depot. We started on the far left side of the store that conveniently had generators. Perfect. I grabbed a worksheet that helped calculate how much generator we would need, started a new note on my phone, and entered a model, size, and price. We then found a mini frig somewhere between a dorm frig and a normal frig and entered a price. We continued this exercise on each aisle looking and writing down prices for: vanity combos, vanity mirrors, faucets, shower heads, shower stalls and tub, toilet, and an electric water heater. As we progressed along each aisle, I also noticed our tone was changing. We were not only pricing these items for the cabin but making comments regarding how nice our current bathroom would look with a new vanity combo and mirror, or how nice it would be to add a storm door with a slide down window revealing a screen to the door on our porch. By the time we got through the doors, storm doors, building supplies, and deck material, we were now pricing things for current projects we have talked about doing to our home. Quick math said the additional money we would have to spend to do all these things for a new property would be foolish. Fun but foolish, and not part of my ten plus years to retirement plan. I won’t even get to the discussion on how we only have two vehicles out of four that could have made it up the hill to the cabin. We’d have to get rid of the Fusion and small truck and get another 4WD. More money, more money. Our ride home from home depot had a different tone than the ride there. What were we thinking? We talked about it and brought up the idea of looking at houses in town. Close to people. Real neighbors. After an orchestra performance for my youngest on Saturday, we spent the remainder of the day looking at houses. For this, we included the kids. We did the same thing on Sunday. There were some beautiful houses within walking distance to my youngest son’s school and downtown. Some nicer than ours and some about the same. But with each house, we were finding we’d have to add a deck, or a fence for our dogs, or this or that. Still, this exploring was both fun and emotionally draining at the same time. Not surprisingly, by Sunday evening we ended up right back where we started: our home, with all her faults and beauty and familiarity. I think we’ll put some effort into her this summer. I still have a supply list and prices on my phone. Oh the vision was/is there. 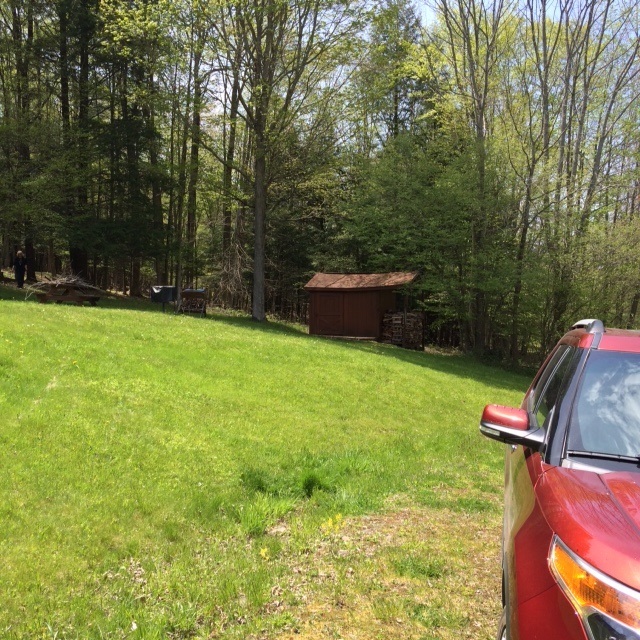 And to be perfectly honest, despite the downsize, had the property had a bathroom (indoor, with septic system), running water, and power, we’d be signing papers and moving. The additional cost just made it impractical. Thanks. It was an interesting weekend. And fun to dream a little. Ah, the joys of house-hunting. Hubby and I became homeowners last year after years of renting an apartment. House-hunting is this wonderful combination of dreams and stress. The first place we looked at was a steal–because it had been gutted. But we are do-it-yourselfers and my father is a contractor, so we were already imagining the excitement of creating our home from the studs up. And then we actually looked at the property. It happened to be raining, and we soon saw why the owner was abandoning the project midway through. The house had water issues. So we walked away. We wound up with a comfy townhouse that needed some TLC but had, well, walls and a kitchen and all of that. It suits us perfectly. I’m not sure I could be persuaded to move again anytime soon, but there’s definitely a lot of fun to be had in looking. Congrats on becoming homeowners! I think being do-it-yourself type people is a huge plus. We feel we are too but don’t have the skills we wish we had to do many of the things we want to (nor do we have the DIY type budgets we see on TV). We’re learning though and are getting through a few projects. A new outside deck and a storm door are next on our agenda. I’m with you on the moving anytime soon. What was I thinking, lol? We’ve added a new storm door to our list of projects, too. Good luck with your home renovations! TV makes it look so simple, doesn’t it? I always joke that if you’re tackling a home renovation you should double the cost and quadruple the time you think it’s going to take. By the pricking in my thumbs you’re better off where you begun! …..giggle…..